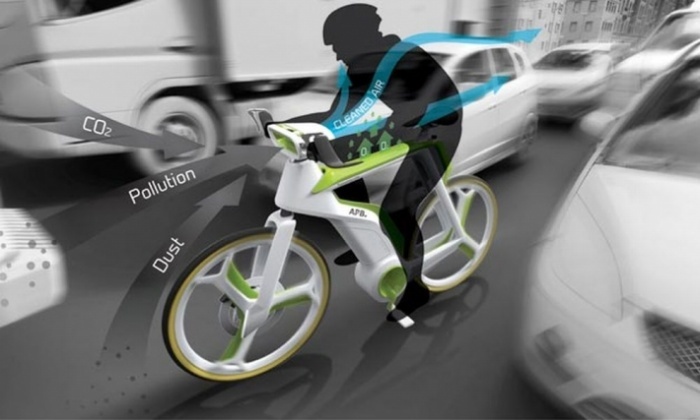 Air Purifier Bike: Ride a Bike, Clean the Air, Save the Planet | OhGizmo! For one, the designers explain that it uses a photosynthesis system to transform carbon dioxide into oxygen. As far as I know, only plants are capable of doing that, and unless they can back their machinery up with scientific data, then they definitely lose a lot of points there. 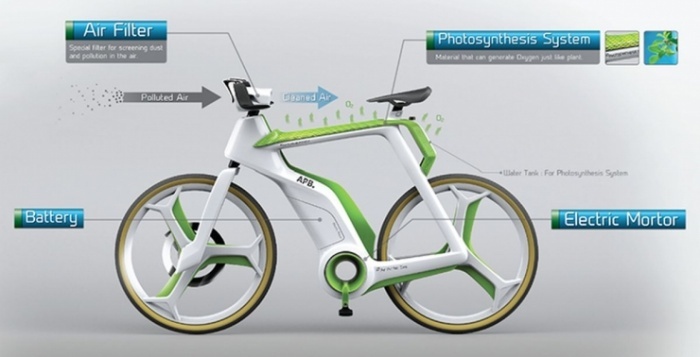 Air-Purifier Bike incorporates an air filter that screens dust and pollutants from the air, a photosynthesis system (including a water tank) that produces oxygen, an electric motor, and a battery. While it is being ridden, air passes through the filter at the front of the bike, where it is cleaned before being released toward cyclist. Even if they did come up with such a system, can the battery really provide the power to keep the reaction going? A bike with built-in conventional filtration systems sounds good enough to me. One does not simply electric into Mortor.